Say Hello to Gomer! 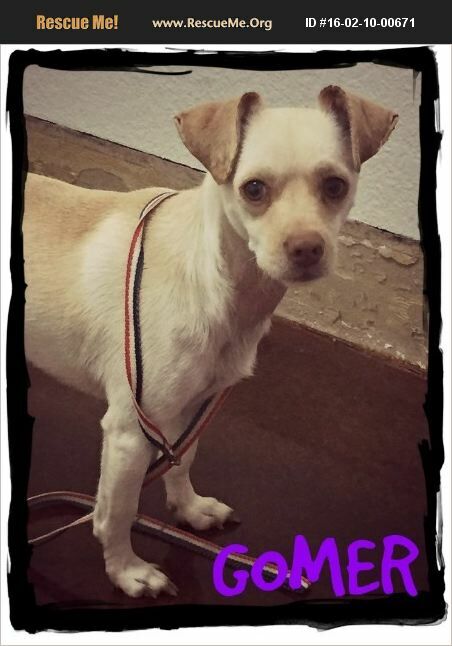 Gomer is a beautiful 'Chiweenie' boy with the most beautiful soulful amber colored eyes! He is a sweet boy who loves to walk on his leash and play with his foster mates. Gomer's adoption fee is 175.00 which includes his Vet check, neuter, all vaccinations including Rabies as well as a micro-chip.